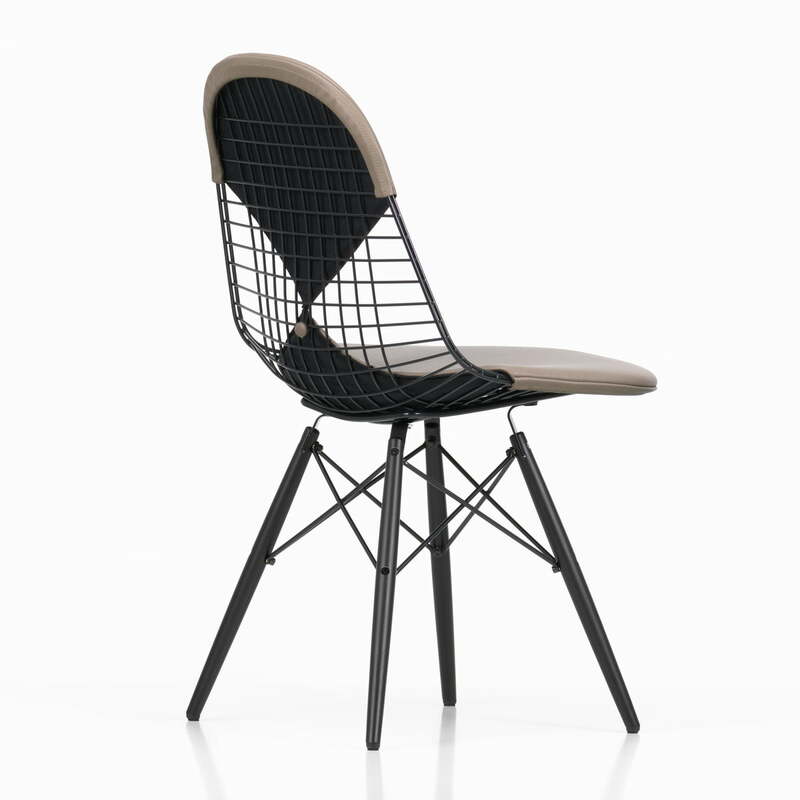 the Wire Chair DKW by Charles & Ray, modernised with a wooden base and a dark seat. 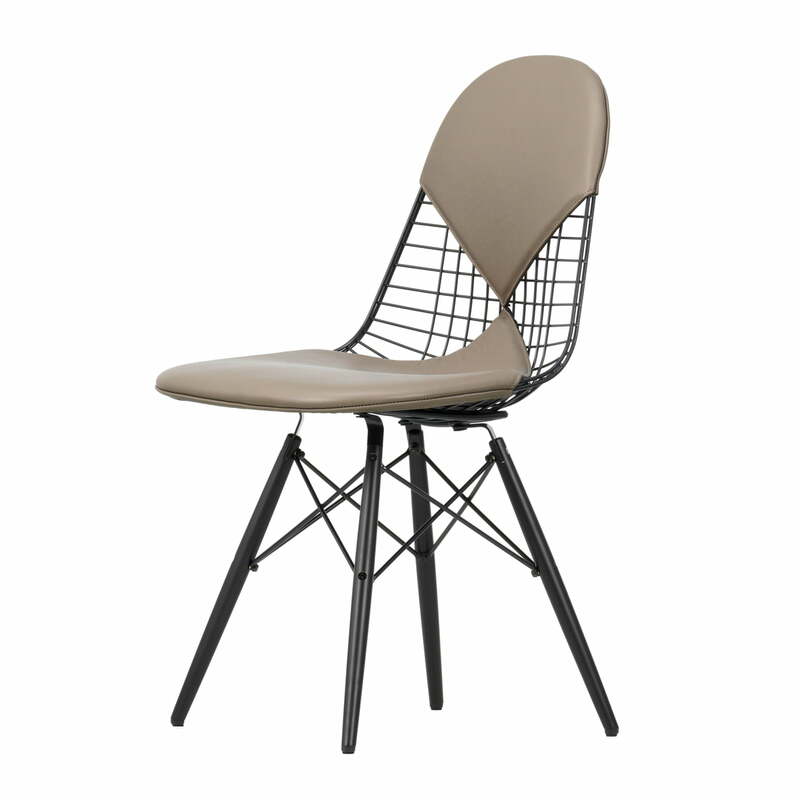 In 1951, designer couple Charles & Ray Eames already designed the Wire Chair as a template for many other well-known designs. 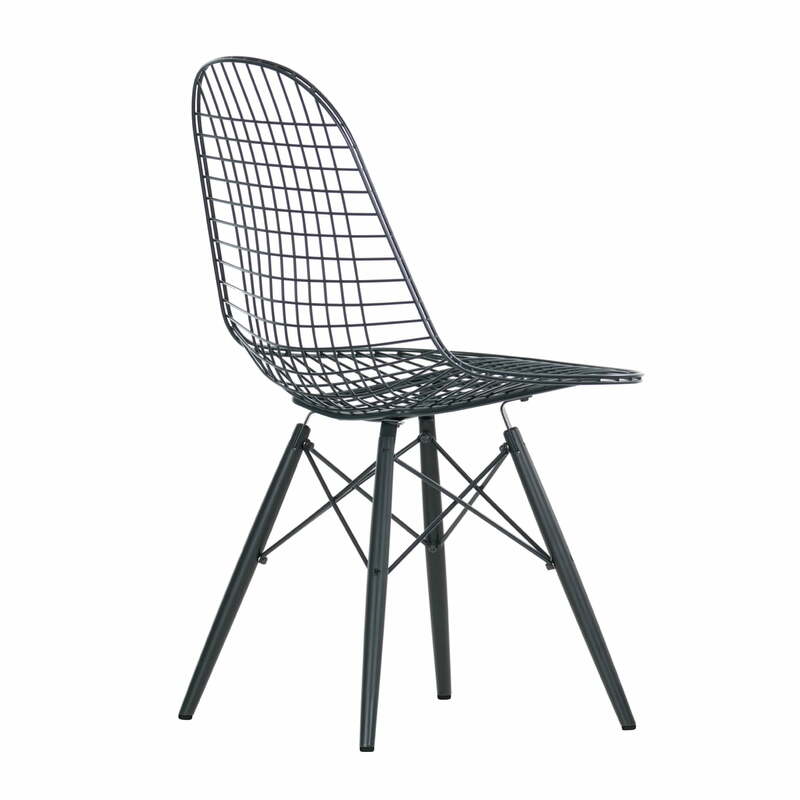 Perhaps the most famous of these is the Plastic Side Chair by Vitra. 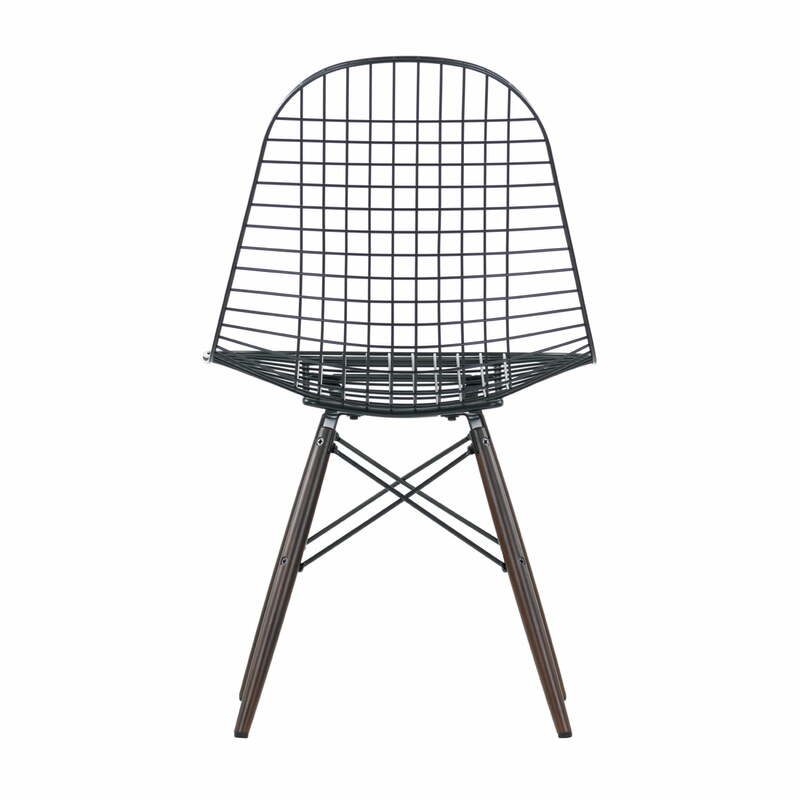 The popular wooden base and a seat in basic dark give the DKW a modern appeal. The new version Wire Chair DKW with a dark finish underlines the transparency of the wire seat, while the three versions with a maple wood base give the chair a homely character. 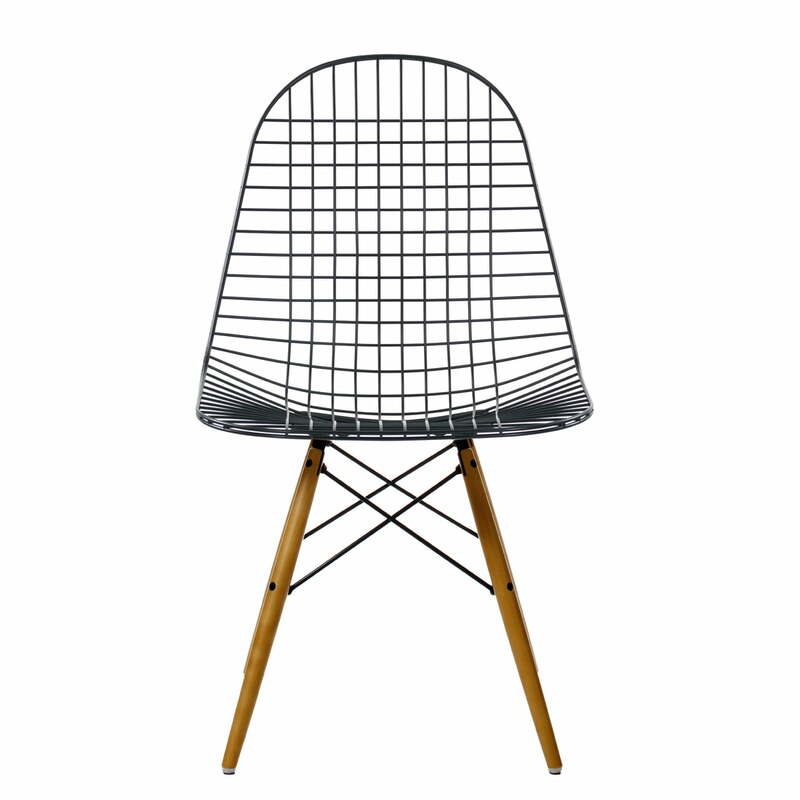 Upon request, the Vitra Wire Chair DKW is also available in a version with a cushion and a version with a seat and back cushion. 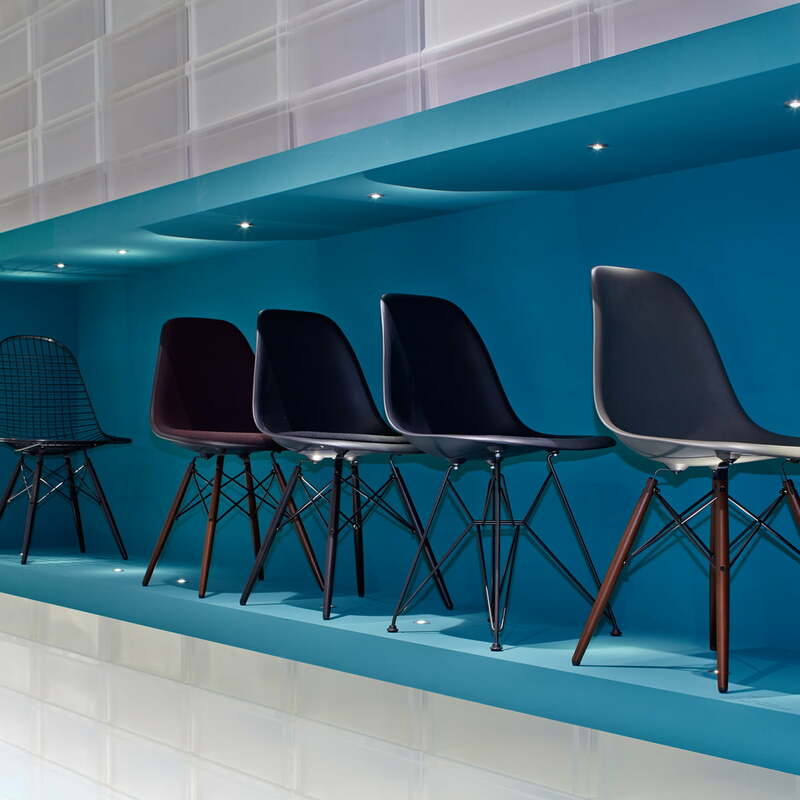 The DKW is also available with plastic pads upon request (for soft grounds such as carpets).